Situated in Hamptonville, this motel is within 6 mi (10 km) of Laurel Gray Vinyards, Shadow Springs Vineyard, and Swan Creek Farm. Dobbins Creek Vineyards and Brandon Hills Vineyards are also within 9 mi (15 km). 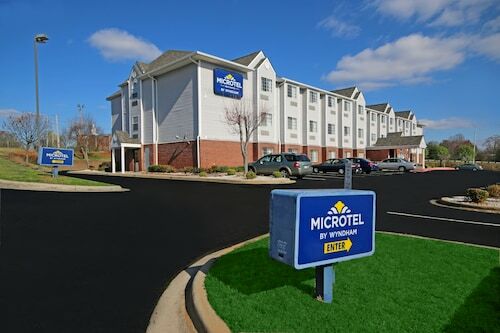 Located in the heart of Statesville, this hotel is 3.2 mi (5.1 km) from Mac Anderson Park and within 12 mi (20 km) of Lake Norman and Fort Dobbs State Historic Site. GoPro Motorplex and North Carolina Auto Racing Hall of Fame are also within 16 mi (25 km). 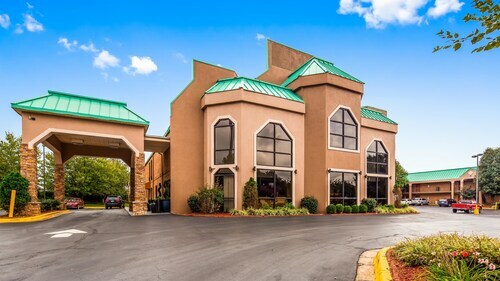 Located in the heart of Statesville, this hotel is 2.9 mi (4.6 km) from Mac Anderson Park and within 12 mi (20 km) of Lake Norman and Fort Dobbs State Historic Site. GoPro Motorplex and NC Auto Racing Hall of Fame are also within 16 mi (25 km). 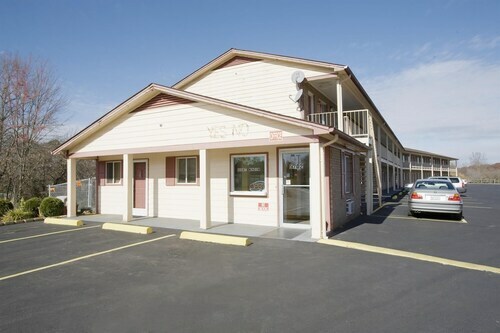 Situated in the historical district, this motel is 2.7 mi (4.4 km) from Mac Anderson Park and within 9 mi (15 km) of Lake Norman and Fort Dobbs State Historic Site. GoPro Motorplex and North Carolina Auto Racing Hall of Fame are also within 16 mi (25 km). How Much is a Hotel Room in Hamptonville? 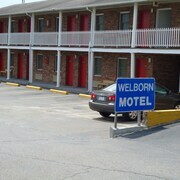 Hotels in Hamptonville start at $40 per night. Prices and availability subject to change. Additional terms may apply. Make sure you book well in advance, as there are not many hotels on Travelocity close to Hamptonville. 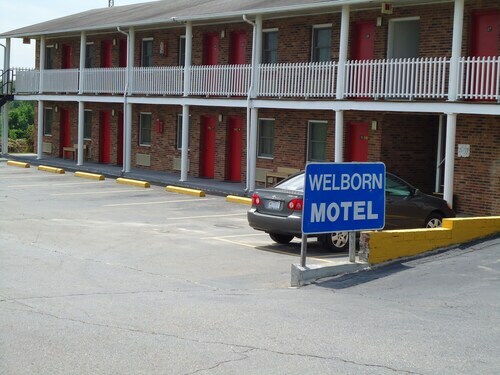 The Welborn Motel is one of the best-situated places to stay, one of just a handful of options within an easy stroll of the Hamptonville city center. The Vintage Inn Bed and Breakfast can be found 10 miles (16 kilometers) from the downtown area of Hamptonville. Or, alternatively, the Fairfield Inn & Suites by Marriott Elkin Jonesville is positioned 12 miles (20 kilometers) away. Two other accommodation options around Hamptonville include the Hampton Inn Jonesville Elkin as well as the Best Western Yadkin Valley Inn & Suites. The wider Western Piedmont district is definitely worth having a look at as well. Spend time at Western Piedmont's historic mansions and history museums and be sure to admire the area's foothills and tablelands. Sporty travelers can get into hiking in the area. Simply because you and your traveling partners are having a getaway, who's to say that you shouldn't expand your obsession with sports. You will find Charlotte Motor Speedway 50 miles (84 kilometers) to the south of Hamptonville. Wise visitors that want to find a room or apartment near to the sporting action should check out the Great Wolf Lodge Concord Charlotte or the Embassy Suites Charlotte-Concord/Golf Resort & Spa. Piedmont Triad International Airport is a practical gateway for arriving by air to Hamptonville. It can be found 50 miles (79 kilometers) from the city center. For wise travelers who have plans to find accommodation nearby, check out Homewood Suites by Hilton Greensboro Airport or Embassy Suites Greensboro Airport. Good breakfst area with the typical variety of foods. The carpet in the room seemed dirty though and there is a sliding door on the bathroom that doesnt completley close. The kids loved the pool and water slide, breakfast and staff was great, and they were able to provide us with a very nice portable crib for our youngest. We really enjoyed our stay and will be returning guests in the future. Convenient location. Could have been a lot cleaner. everything was great. the breakfast was excellent.